Chiang Mai is the perfect combination of city accoutrements and country sensibilities, with an incredible laid-back and creative atmosphere. It was love at first sight! 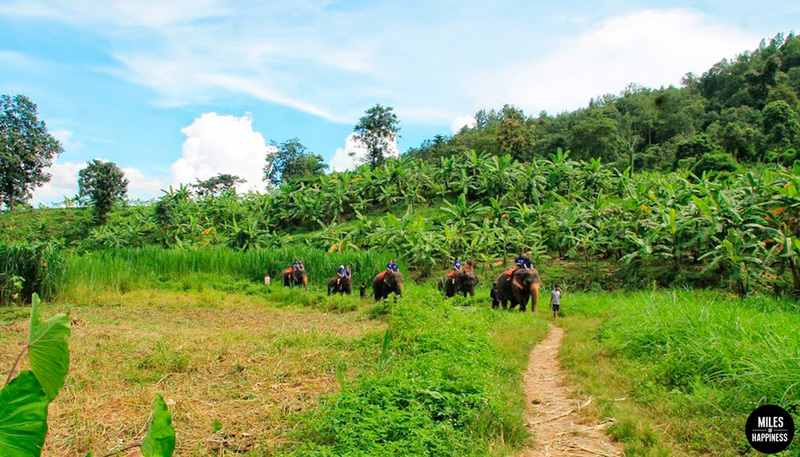 Traveling in Chiang Mai is a perfect way to discover an authentic, relax & beautiful part of Thailand. I've put together a quick guide to Chiang Mai in 48h for you -but honestly, if you can stay more, do so! You'll see, this place is really hard to leave. With the cafe scene, the friendly locals and the many, many things to explore around, you could easily stay for weeks. 48H in Chiang Mai - Day 1. 9 am - Time to go to school! Learn how to make a real thai green curry, a pad thai and other joy. Start the day by a stroll in Ruamchook market with the chef, a visit of the farm and its kitchen garden, then cook and eat the best thai food ever, to finish the day taking a nap under the trees. I highly recommend Thai Farm Cooking School -I LOVED IT. 3 pm - Jump on a tuktuk to explore the old city. As Chiang Mai is pretty small, it's easy to visit it by foot. Located next to the City Arts & Cultural Centre, Wat Inthakhin Saduemuang is a gorgeous pint-size temple to see. 4 pm - Discover the stunning Wat Chedi Luang, and since you’re already in monk territory, why not engage them in small talk? Monks are eager to talk to tourists as much as tourists are eager to learn about their lifestyle. Don’t forget to dress modestly, with covered shoulders and knees. 7 pm - Time for a break: get a foot massage to relax before the night begins! 8 pm - Shop at the Night Bazaar Market or the Sunday Walking Street Market and taste the amazing Thai street food of Chiang Mai. If you can find the banana spring rolls, go for it -they are to die for. You’ll find everything you need and don’t need, from delicious homemade lemonade to cheap jewelry, creative gifts and 2$ hippie pants. 10 pm - Watch a Muay Thai fight. It's the National sport in Thailand, no need to say it's a must in Chiang Mai. It's a full-contact martial art where two opponents battle using their fists, elbows, knees, shins and feet. Pretty cool to watch! 48H IN CHIANG MAI - DAY 2. 8 am - Become a pachyderm devotee and spend a day feeding, washing and brushing an elephant. The chance to get up close and personal with this animal is truly a unique experience. We choose the awesome Woody Elephant Park. 4 pm - Smoothie-break! Dragon-fruit, coconut, mango/papaya, banana/pineapple, watermelon/mint? It's SO HARD to pick a flavor among all these exotic combinations you'll have to drink many smoothies during your stay in Chiang Mai. 5 pm - Go for a sunset in Wat Phra Thai Doi Suthep. Nestled on the mountain ridge, it's an important religious pilgrimage site for Thai Buddhists. Every evening, you can assist to the monks prayers. It's a incredible moment of serenity. Ask your hotel staff should be able to find you a driver to bring you there. 8 pm - Eat local! If you like it spicy, try the Thai Papaya Salad -delicious. And make sure you don't miss the Sticky rice with Mango -I'm living for that dessert! 10 pm - Celebrate the end of your trip around a cocktail in Thanon Nimmanhaemin, the place to stay up all night. You'll find many fancy bars with beer gardens, live music venues, wine bars, dance clubs and even indie bands jam on the terrace. Anything you want! Great place to stay - We stayed in SK House 2 and payed 7$/pp/night for a huge room with hot shower, (good) breakfast and no air-con. The hotel is very charming, with a pool and a wide rooftop. The staff was a great help to organize your expeditions. This is it! Now that I've finished writing about my trip in Chiang Mai, there are two things I want to do: buy a plane ticket to go back there and eat a sticky rice with mango. 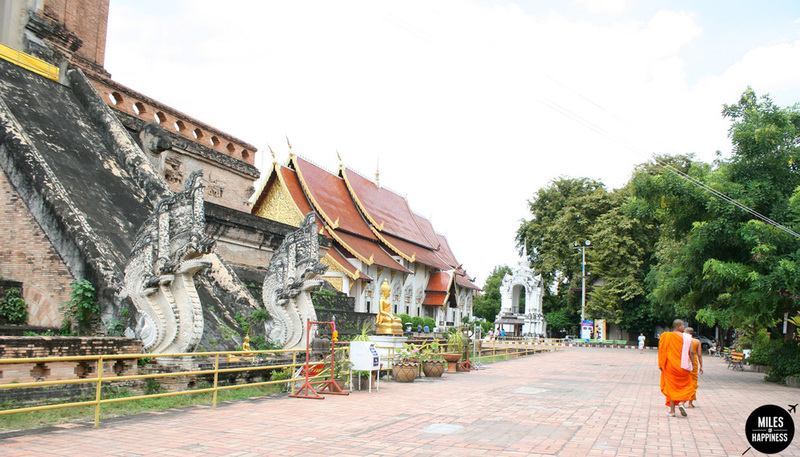 Have you been in Chiang Mai? What's your best memory there? What did you do? Newer PostIndonesia's best kept secrets - Travel off the track!